The township of Palmetto Bay delivers the open residential lifestyle that homebuyers seek in Miami-Dade County. Like Pinecrest’s open feel, Palmetto Bay offers affordability with large residences and attractive features. Since the city’s incorporation in 2002, leadership has invested time and vision in creating a remarkable place for its residents. Area schools are A-rated. The Government Center, housed in the former, sprawling Burger King corporate headquarters, is a center of activity. The township hosts concerts and food truck invasions. Shopping and dining draw strollers and patrons from the city and even neighboring communities. A snapshot of residences presents a varied picture. The mix includes executives, professionals and entrepreneurs seeking remarkable properties without compromising price or lifestyle. 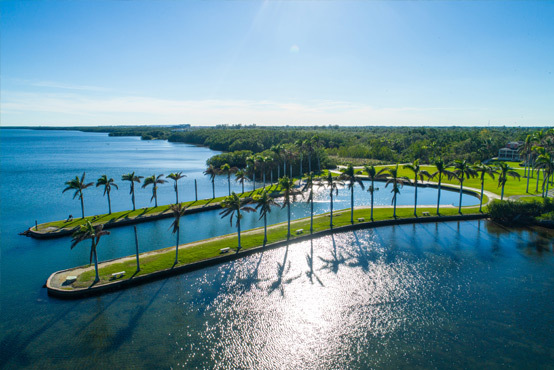 Communities like Cutler Oaks and Flamingo Estates have risen, creating juxtaposition to the stately and historic Deering Estate. The nearby MetroRail shuttles residents to Coral Gables and downtown Miami. To learn more about Palmetto Bay, Coral Gables, Coconut Grove, South Miami, Pinecrest, Brickell, or Key Biscayne contact Val Byrne with EWM Realty International or www.MiamiRealEstateWorks.com at email at [email protected] or by phone at 305-323-6231. Val Byrne – Working For You!